Looking to Celebrate Labor Day 2018? Looking to Celebrate Labor Day 2018? Here are Some of the Best Things You can Do in Destin, Florida! 2018’s Labor Day weekend is coming up, and it’s definitely one of the best ways to end the summer months. 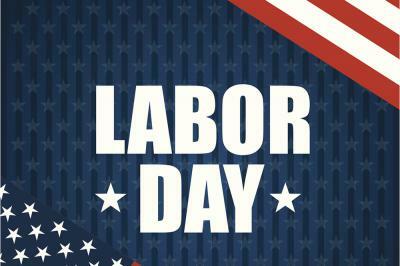 We should all show our appreciation and celebrate the ongoing efforts of the American workforce, and our limo service Destin, Florida is definitely all for it. There are plenty of ways to celebrate, but if you’re thinking to head on out and join the crowd, it’s probably a better idea to leave the headache of driving and parking to the experts. Our Destin limo service chauffeurs are some of the best drivers on the road, so all you’ll need to do is sit back and relax while we do all the work in fetching you to and from your desired Labor Day destinations: Listen to Live Music at a Labor Day Concert Head on over to HarborWalk Village for some of the best beats of the summer this coming Labor Day weekend. Also, did we mention there will also be fireworks over the Destin Harbor? Now, that’s definitely one way to end the summer with a bang. The lineup is fantastic to say the least (after all, we do know how the Emerald Coast community feels about live music), so come on over and join the fun! Venue: HarborWalk Village, 10 Harbor Blvd, Destin, FL 32541 Time & Date: 7 p.m. - 9 p.m. (1-2 September) Admission: FREE Website: https://www.facebook.com/HarborWalkVillageDestin/ Stroll through the Baytowne ArtWalk You might not know the difference between a Picasso and a van Gogh, but you can still appreciate art at the Baytowne ArtWalk in the Village of Baytowne Wharf in Sandestin. Here, you’ll get to appreciate and even purchase the works of both local and regional artists and enjoy the sounds of live music. Who knows, something might just catch your eye here, so do drop by for a stroll. Venue: The Village of Baytowne Wharf, 9300 Baytowne Wharf Blvd, Miramar Beach, FL 32550 Time & Date: 5 p.m. - 10 p.m. (31 August - 2 September) Admission: FREE Website: http://www.baytownewharf.com/event_details.php?t=1&event=137 Dine, Dance, Cruise thru Labor Day What’s better than eating, you say? Well, when you combine dining and dancing on a relaxing cruise, life immediately seems brighter and livelier. Of course, there are different options to choose from depending on your preferences, but those looking to enjoy the Sandestin fireworks can always choose to board the Fireworks Sunset Dinner Cruise for a truly spectacular time. Venue: Miramar Beach, Walton County, FL 32550 Time & Date: Starts at 7 p.m. (1 September), Starts at 6:30 p.m. (3 September) Admission: $76.50/adult, $38 for children ages 3 to 10, $18 for children ages 0 to 2 Register Online: https://sunquestcruises.starboardsuite.com/choose-date Website: http://sunquestcruises.com/dine-dance-cruise-labor-day-destin-florida/ Watch the Sunset If noise and crowds are not your cup of tea or if you just want to spend your last days of summer peacefully, you’ll want to get your front row seat for one of the best beach sunsets. Of course, Destin Harbor and the Henderson Beach State Park are one of the most picturesque destinations on the Emerald Coast, but you can always ask any other local around and see if they’re willing to divulge their favorite spot. Visit Crab Island Sure, Crab Island is technically a sandbar, but it really is unlike any other. However, if you haven’t been to the most popular social scene there is on the Gulf Coast, you’re clearly missing out. You can easily rent a boat or bring yours over to join the fun, but if boats aren’t exactly what you’re looking for, you can also try parasailing, flyboarding, jet skiing, kayaking, and so much more this Labor Day weekend! When it comes to luxury ground transportation services in Destin, Florida, let the professional at 654LIMO take care of you.